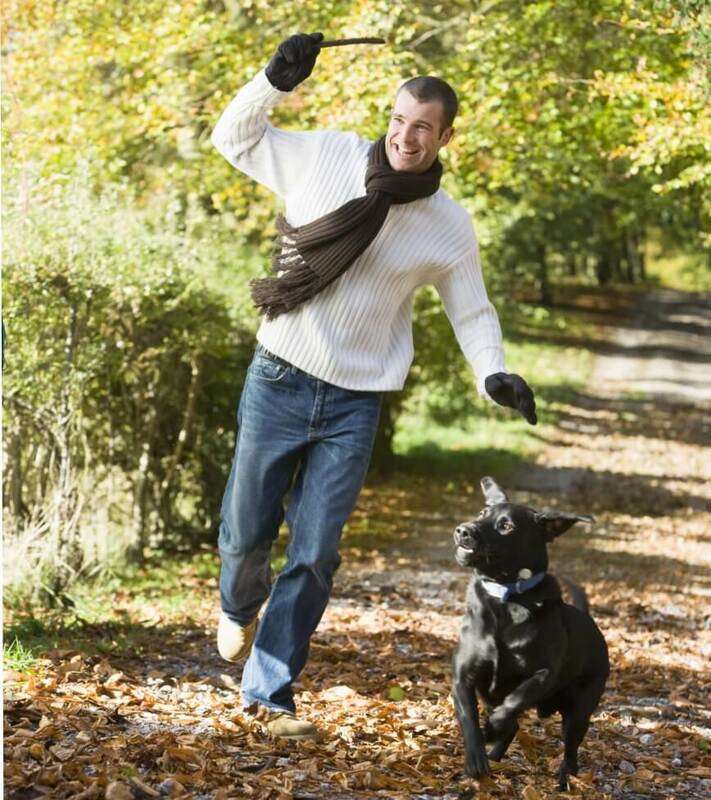 Do the usual dog-walking, but with a twist: Have your dog walk you! Let them wander and take you wherever. Isn’t it cute to follow your wobbly, furry, walking GPS? It’s a good adventure for the two of you! You’ll be surprised to know where the nose will take you. Running with your dog is a good cardio workout! You can enjoy the outdoors while improving your stamina and muscle strength. Bring a water bottle for your pooch to rehydrate. However, learn to stop whenever your canine companion wants to stop for a sniff or greet some passers-by. Tired of walking and running? Let’s spice it up by swimming! You can play fetch in the water or just enjoy dipping in together. It’s a fun and low-impact exercise that’s great for the both of you. Dogs love playing fetch! Busy pet parents can easily give their dog’s daily exercise fix by playing fetch, too. It’s a simplest game that works anytime and anywhere – whether it’s on a Sunday morning at the park or from the comforts of your couch on a lazy afternoon. Dogs in groups spend their energies in the best way they know how. They play their own games and do activities. Find a place where dogs can interact with each other and let them do the drill. When your dog has lots of pounds to burn off, walking or running may not be enough. Enroll them in a dog training camp. This gives them more outlets to release their pent-up energies, learn new skills, and improve their confidence. Aside from helping them stay physically fit, look for ways that can exercise their brains, too. Keep their minds sharp even after having successfully taught them the basic obedience commands. Think of other fun tricks and nice moves they can learn, like high-fiving. Before deciding on an exercise routine for your dog, it’s best to seek an approval from their veterinarian first. There are exercises that may not be suitable for dogs, like running and jogging may not be recommended for puppies and breeds with short noses and legs. Tell us your favorite fitness routine with your canine companion or share us a pic or two of your pooch on the move! Do you have other tricks and suggestions? The Insured Pet would love to hear your canine stories in the comments.